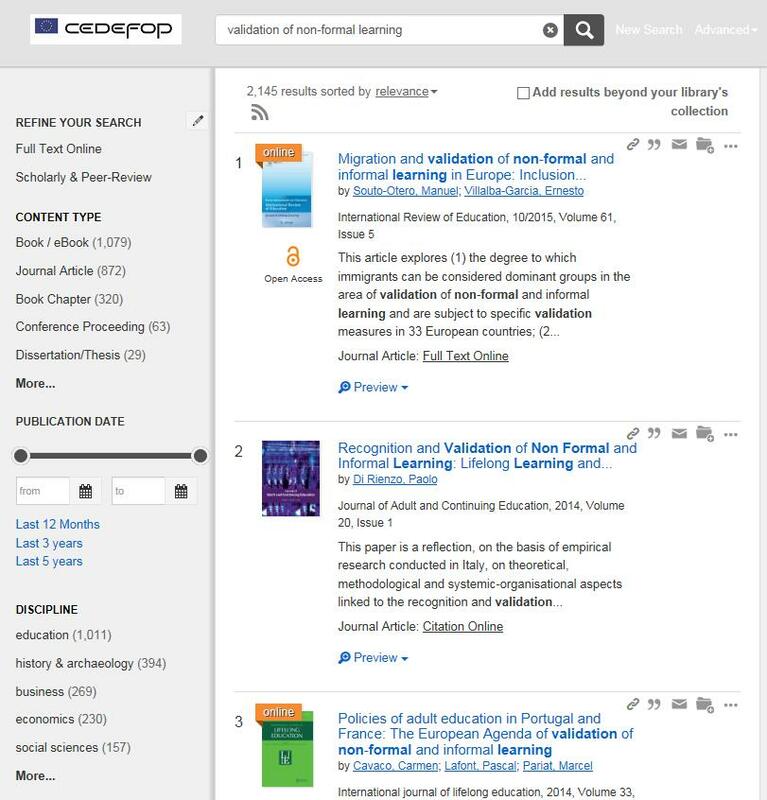 The Discovery Tool of Cedefop browses a wealth of resources, scientific information and open access journals on VET issues, such as VET systems, vocational and training policies, mobility of trainers, lifelong guidance, apprenticeships, adult learning, validation of non-formal and informal learning, skills forecast and skills gaps, EQF, learning outcomes, etc. For example, a search on validation of non-formal learning will retrieve items that contain all three words in the citation and/or in the full text of the item. Running a search: searching is as easy as a Google request, BUT you can refine by using the filters and facets or by adding more keywords to your search. You can also indicate a phrase by putting quotation marks around the words. Thus, the query "validation of non-formal learning" will find results containing that exact phrase.